A revolutionary documentary film about a new season of political resistance in Los Angeles, crafted from thousands of hours of footage shot from 2011 to 2015. Ideology meets reality and collides with the powers that be as articulated through the inner voices and external lives of a millennial anarchist collective near downtown LA. This film opens an intimate window into this emerging consciousness in the gritty incubator of the collective’s apartment, where 10 people deconstruct the present to create a better future. All have given up a lot to participate in the movement: personal space, jobs, education, family and "old-world" friends. Targeted by law enforcement, repeatedly arrested, intimidated and sometimes beaten, only to be further radicalized, this film contains graphic scenes of police violence. Captured during this period as they organize and engage in a seemingly endless series of political actions, street protests and marches ranging from direct political actions against big banks to the more recent protests against police violence. 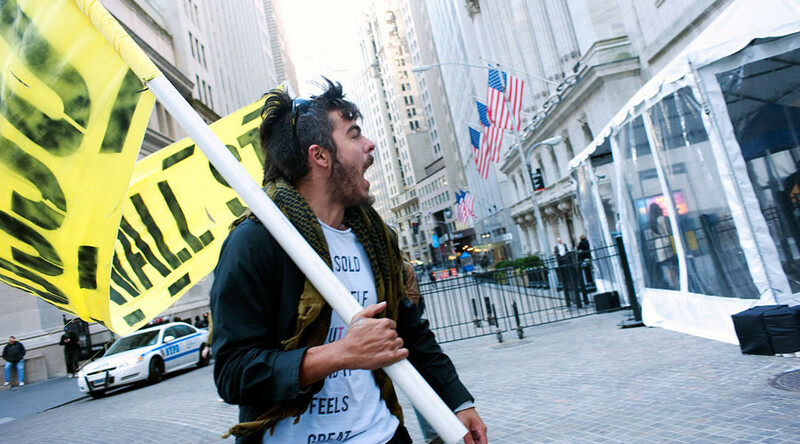 Fueled by Occupy Wall Street, the tent encampment at City Hall in October 2011 was the point of departure for the creation of a network of alliances that inspired this new season of resistance in a city with a rich history of political defiance. This feature documentary traces the trajectories of the larger arcs of its characters as well as the movement as a whole, by capturing interpersonal and collective experiences and utilizing direct political actions as tent poles to guide the audience through the story. Radicalized is a very personal, untold story of the post-Occupy millennial resistance. It should be noted that most participants ultimately diverged from the Occupy movement for a variety of reasons by late 2012, and continue to remain critical of their participation.